Woke up and my producer came out wearing a shirt that read: "But what I really want to do is direct", couldn't help but laugh out loud. So Mark's most likely going to have to push the interview so he can screen a directors cut of The Blind Side. I wish him the best with that. I know how nerve wracking that can be. Tonight we see the how we got into film editing panel. Should be good. In the meantime, since I don't have an interview to do, I am off to downtown LA and some good old Tourist traps. Lauren Woodcock (Cutting Room Producer) and I (Gordon Burkell) have landed and we're now trying to find food. The trip was much shorter than the six hours we were told. Mark Livolsi might not be able to be interviewed tomorrow due to a screening. Here's hoping his screening goes well. It's 3:37AM in Toronto and 12:37AM here in LA. Time to find some food and get ready for tomorrow. This will be our location for up to the minute news about the LA Edit Fest. In the coming days we'll be documenting the event as well as interviewing editors for the site. The interviews will include: Steven Rosenblum, Malcolm Jamieson, Mark Livolsi, Michael Miller and many more. If you have questions you think should be asked to these editors let us know on Twitter You can also follow the event on twitter through us. As usual you can also leave comments. Studio Daily blog is reviewing The Foundry's new software for editors. The software is titled Rolling Shutter and it's designed to reduce shutter skew. To kick off the first post for the Edit Decision List, I thought it would be fitting to choose a topic that relies on one of the most fundamental techniques in editing film: building tension. There are many places for using this technique, but it is in its most blatant use in the Western Standoff. Therefore here is The Top 5 American Western Standoffs based on editing. John Ford is known for popularising the American Western by making it something to take seriously, and has done a lot as far as creating a standard for the genre that was used again and again. The Man Who Shot Liberty Valance is later in Ford’s career, but he still uses the same fundamental techniques in making this film as he did in Stagecoach (1939). In some ways this hurts the film, because Ford has always taken what I would consider to be a very conservative approach to editing. However, the editing is still very clean and the viewer feels the tension and fear building in the intimidated James Stewart as he fumbles to take his revenge. The other reason why this film is worth mentioning in an editing context, is that it shows the standoff from two different perspectives: James Stewart’s, and John Wayne’s. Okay, the title says "Gunfight" but for my criteria I’m talking about standoffs. Gunfight at the OK Corral actually has two or three great little standoffs that I’m going to focus on rather than the gunfight at the end. This film won an Academy Award Nomination for Best Film Editing in 1958, and it is a great example of what was known as the standard cutting sequence for every film coming out at that time: Establishing shot, medium shot character 1, medium shot character 2, insert cutaways, close up 1, close up 2, etc. The beauty of Gunfight is that they managed to use that common sequence and still build up tension. It helps that Kirk Douglas is a great actor, but we all know that true tension can only be built in the editing room. This is a film that I had never heard of before my dad told me to watch it specifically for this blog. After some research, I found that it has actually won many awards, but nothing specifically towards editing. 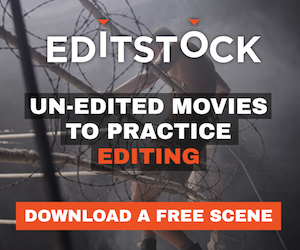 Frankly, I think that’s an injustice— There are many parts of the film where I would consider the film editing to be extremely unique in a good way. For the standoff, it still remains unique. There are no close ups, really, but the ambiance and the stillness in each shot is so solid that you don’t need it. In fact it’s creepier than your average stand off. One thing that really struck me was the use of animals, both throughout the entire film and within the standoff itself. The viewer can really tell that even the animals feel the tension in the room, and react in a subtle but fitting way. This one is worth checking out. I don’t know if I would be allowed to have an American Western Standoff top 5 without this film. It is so universally known and loved that it would be impossible not to include it— and for good reason: it’s one of the best standoffs in film. This is technically tied for first, but why did I put it at number 2? Before you scream and yell at me (which I encourage) then consider the cheesiness of the scene. Yes, the majority of Spaghetti Westerns are cheesy and it’s basically expected that you will have to deal with a voice dub and overly dramatic music. As great as the editing is, and it is great— especially in its innovative use (and popularisation) of the extreme close up and the pure entertainment value of the immortal standoff— I have to say that the music really affects my opinion of the scene regardless of how entertained I am. Technically, the use of the music, sound effects (or lack of sound effects), and extreme close ups does its job exceedingly well. Throughout the entire standoff you are hanging on the edge of your seat excitedly begging for something to happen. But my main reason is that the music, as great and iconic as it is, does not build up the tension in the scene as much as it could. The sole reason why this Once Upon a Time in the West gets one point more than The Good, the Bad, and the Ugly, is that the editing technique has been taken one step further. In this film Leone has refined the art of building tension, and the movie feels real and still has a sense of humour about it. This time, he has utilised sound effects instead of a theme song, and really integrates the surroundings as a character in the film. There is always a small, repetitive diagetic sound that is happening in the background— it creates a feeling of nothingness, like the only thing alive is the object making the sound. It keeps going and going over long shots and sequences, eventually making the viewer more and more agitated, but in a way that creates curiosity and anticipation rather than unbearable frustration. I’ve never felt more tense in standoffs than in this movie, and this is why I place it at number 1. Here’s a list of all the tech tips I’ve posted, organized by subject. Well, it’s finally happened. Apple has released a new version of Final Cut Studio. As has become typical for Apple, the web pages explaining the new features are slick, well thought out and come with concise and well produced explanatory videos. By now anyone who has ever heard of Final Cut Pro has heard that Apple shipped Final Cut Pro 7 as part of the new Final Cut Studio on July 23. It wasn’t the total FCP reboot that many had hoped and consists mainly tacked on new features. The early word was that it probably should have been called Final Cut Pro 6.5 (and I agree) but you can’t make a splashy new release with only half a number advancement can you?